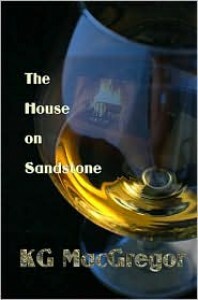 I don't quite understand my reaction to "The House on Sandstone"as the story contained tropes I've never enjoyed. There is a lesbian woman who forsakes love to fit in and marries a man and stays with him for, I can't remember, 15 years? There are two older teen children and all of that teenage drama, and huge tracts of the story that would not need to be there if the actors spoke up and said how they feel. It was quite the soap opera. There was even an autistic child thrown into the mix. I enjoyed the characters in the story, Justine and Carly, (and Emmy, the daughter) and the humor of some of it. These characters had distinct voices. The author covers it all, perhaps too much. I stayed glued to my screen though reading this so I added a star even though I might not have the intellectual reasons for it. The characters meet after 15 years or so and they still have feelings for each other. One is psychologically damaged from her divorce and the flight of her children and also the rough treatment she received from the small town characters in Leland, Kentucky. Super nice, Justine is also filled with doubt and cannot really begin anything with Carly in her current mental state. So then there is a huge block of time dealing with that frustration and issues with her children. I don't like reading issues with children as I have some in real life. I could predict everything in this story yet that doesn't do it justice. I'm glad I read it.